Crop your photo and make a square print! You will be surprised with the effect you can achieve by cropping your photos. 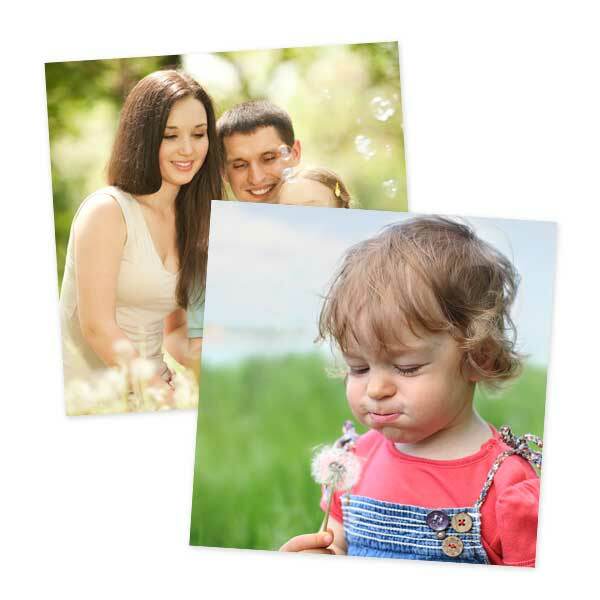 8×8 prints are a great square enlargement size that can be placed in a frame, scrapbook, or 8×8 memory book. Fill up a stunning square frame with a treasured moment or give a personal, thoughtful gift to a friend or family member with our high quality prints! Looking for small square prints? Our 4×4 photos and 5×5 photo prints are ideal for filling up your favorite album with memories! Whether you need to print smart phone photos or you want to display a favorite Instagram photo, our 8×8 square prints will not disappoint.